etchevarne – Matías Etchevarne. Interaction and Usability Expert. Matías Etchevarne. Interaction and Usability Expert. “Para el 2025 en Estados Unidos un quinto de la población va a tener 65 años o más. En Japón, Italia, Alemania, Francia y China la edad será aún mayor. Luego da varios ejemplos de cómo se ha descuidado desde el diseño gráfico a toda esta población, desde diarios, libros, hasta etiquetas de remedios y prospectos, donde éstos últimos son mayormente consumidos por gente de edad avanzada. Cuando hablamos de diseño y accesibilidad no solo nos estamos refiriendo a población que tiene problemas de ceguera absoluta o de movilidad, tenemos que acercarnos a toda la población. Hoy no solo los remedios y medios impresos son necesarios para la vida cotidiana. Las interfaces digitales son parte intrínseca de la comunicación con seres queridos, de la compra de víveres, del transporte, de las finanzas personales, etc. Hay una razón bien definida de porque hoy este grupo de la población tiene que sobrellevar este escollo tipográfico. Los diseñadores que realizan nuestros diarios, etiquetas de remedios e interfaces digitales tiene veintipico de años y no tienen ninguno de estos problemas de visión. En mucho mas de un caso he visto a aplicaciones que, para lograr dar más visibilidad a una serie de funcionalidades, se valen de la reducción de los elementos tipográficos llegando a tener textos en 10pt para ver en un celular. Con ello han logrado exponer muchas funcionalidades en un área reducida, pero ¿cuántos usuarios realmente se benefician efectivamente de esta solución? Accesibilidad no es sólo una buena práctica de diseño que ayuda a personas con dificultades, es una buena práctica económica también. Este 20% de la población tiene una expectativa de vida cada vez más larga, son financieramente activos y poseen el dinero para gastar en los productos y servicios que desarrollamos. ¿Realmente queremos dejar un 20% del mercado a la competencia? Si no comenzamos a tener en cuenta a este grupo de personas y utilizar a conciencia los tamaños tipográficos, contrastes y paletas cromáticas, no sólo el producto de nuestro trabajo no va a cumplir con su propósito al no poder resolver los problemas de todos nuestros usuarios, sino que nos vamos a poner contra la pared a nosotros mismos cuando en no mucho tiempo nos encontremos buscando el par de anteojos correcto (de los 4 pares que nos recetaron) para poder pagar los impuestos en nuestras pantallas. There is a lot being said about the Apple Car. From noises of motors in an unbranded Apple building, to the vans with a lot of sensors on the roof that transit the streets of San Francisco. It’s been said also that Apple abandoned the project of their own car and that they have focused on self-driving technology. But what use could App have planned for it? Apple historically put the experience first and technology in service of it. So to find out what is the best experience of a self driven car we need to know all the annoyances of not only driving, but owning a car. First obviously it should have a first class spoken interface, in this case will be Siri car. It would be run on Apple’s new CarOS. It will interface too with Siri in your wrist, iPhone, Mac and iPad. It will be integrated with its own Car app that can be automated with Shortcuts. With its self-driving technology an Apple Car can find a parking spot on its own, so you can get off you at your door and left the car park itself wherever he can. Whenever you need it you just tell Siri to bring back your car to your door again. With an integrated ecosystem like Apple’s, this car can know whenever it needed to, for example, it could know when you are ready to leave your home to work and be at your building front door waiting for you. Also it will know where to go without telling it and will take the best and faster route. It can warn you to leave early to be able to get at your I important first hour meeting if traffic conditions are not ideal. What a better way of improving owning a car by not owning a car? What if Apple Car is a service? You can subscribe to it as you do with iCloud and Apple Music. You could have options to use Apple cars on demand as you need them or with a premium plan you will be able to have one ready for you wherever you are. It could have the option to use it without a plan paying with apple pay every time you take a ride. So the big question here is if Apple will apple build its own car? I don’t think they will make a factory and build the cars on their own, maybe they found an automotive company that will be able to manufacture Apple Car, just like they do with the iPhone. Perhaps there is now a chinese company making arrangements with apple to build and distribute Apple branded cars, and maybe, maybe, that is why there is a constant flow of Apple employees traveling form and to China. What will be the experience inside an Apple Car? Maybe we can have some hints just looking at the Apple Stores. It must be confortable. Maybe it can offer wifi connectivity so you don’t use your data plan. You will be able to charge all your devices. It will have plenty of space to put you bag, backpack or portfolio. It will have great noise insulation. Also maybe in some models you will have a 4 seats facing each other with a table in the middle that can function as an office or can be use to improve family time in a trip with a central music system that can be used with bluetooth on any of the devices that the passenger carry on with themselves. I don’t believe that the future of cars have screen walls all over as the main car companies prototypes have, but I do think confort will be the key. To be successful they must manage the whole chain of the experience. So they probably will start slow. Beginning for commuting vans in San Francisco, probably for their own employees, getting experience on managing a growing fleet and building its own parking and charging parks for their cars around the city. Then, slowly launch its service on other cities and countries. When we will see and Apple Car on the street? Probably not soon. As we learn with Apple they don’t launch a product until they are confident that the whole experience is polished and better that any other company could offer. I remember when I was in college, studying to become a graphic designer, there was a feeling that we were learning how to change the world. And everyone there thought that we didn’t need to wait until we finish, just for the fact that we were there, we where changing it already. Everything we did had the seed in it to be life changing and thought defying. It’s been several year since that time. I worked at several types of agencies, some more professional, some less. Every one of them taught me something, even though I wasn’t changing the world at some of them. Some people, and to my regret some designers too, think we just design things to be beautiful or to sell things. The worst thing is that some agencies think that too, that they are in the business of improving sells on products for their clients. Although there is nothing wrong with that approach, I think we can do better, a lot better. There is some natural impulse on mankind to design. A few months ago I was lucky enough to be at the British Museum, and there was this really kind old woman behind a little table in one of the museum halls, the one with wooden stands wall to wall and a zillion of objects in them. This table had a little sign with the legend “hands on”. On there were five objects from the museum collection, and for our surprise (me and my wife) we could grab them and hold them in our hands. 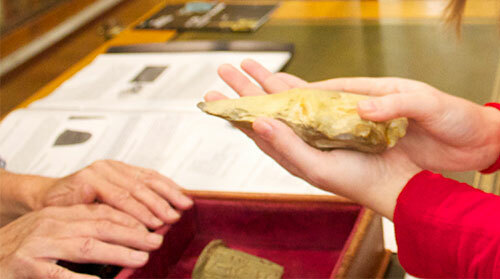 One of the objects was a stone hand axe of almost 500.000 year old. It was incredible to be able to hold it in my hands, I was trembling of emotion after these almost eternal five minutes that we where there. But it was more incredible that this axe, an axe made of stone by an Homo-Erectus almost half million year ago, was a perfect fit in my hand, it has the perfect weight and balance. This axe was designed that way. Before I went to college, I had the luck to work in a notorious argentinian design studio, Diseño Shakespear, leaded by Ronald Shakespear. I wasn’t doing any design work there, I started as an errands boy, just going to print shops with zip discs (yeah those old ones) to plot presentations, and things alike. After a month or so, I was promoted to be Ronald’s assistant. I still didn’t do any design work, but I was able to see how it was to do it. I had access to a lot of documentation, I remember specifically reading cover to cover a one thousand pages identity manual like it was a novel. I saw how designs where presented, how you have to play some politics with clients, and how the theory, concepts and caring of the designs are important to protect them from those politics. One of the most prominent projects they did was the sign system for Buenos Aires city. In a recent interview he said: “I like more (signs system design) because i feel useful. Knowing that an old lady found the subway station and came to her home safe”. When I read that, all my career decisions pass in front of my eyes. How with some kind of unconsciously thinking I tried to stay focused in a discipline that mix all the things that mattered to me. I always loved technology and working with it, and like in college, I still want to change the world bit by bit (pun intended). Is the feeling of being useful, as Ronald Shakespear said, that drives me. But instead on doing sings system design, I want to develop better interfaces for the everyday task we have to do in this highly digital world we now live in. Helping the old lady to pay her taxes online, making the best interfaces so she could do everything she need to with confidence in the least time possible, so then she can keep doing what she likes in the analog world. I think what drives or should drive every designer is the goal of improving life, by enhancing, simplifying and making more delightful every little aspect of our daily tasks. So the next time we have to deal with any kind of design, a brochure, an online campaign, a mobile interface, a home banking, a spatula, we don’t have to think how to make it more aesthetically beautiful or improve sales as our primary goal, we have to focus on how to make it more useful, how to improve the time people have to deal with it, how to improve readability for the little old lady, how we can improve people lives with our little grain of sand, how to make an stone axe fit perfectly in the users hand. There has been a lot of discussion of the best way to implement responsive images these days. Jason Grisby points out another problem with the browser implementation of the image pre-fetch functionality. Or how the browser will be able to fetch the correct image if it doesn’t know the layout yet. So I have a little idea I want to share. So when the browser try to pre-fetch the images, it knows our desired breakpoints, and it already knows our vieport size. And as you see in my img tag I took a mobile first approach defining the 320 breackpoint as the default img. Of course this is much simple to code and deal than the other ideas with multiple sources or breakpoint defined in every image. A few weeks ago, Microsoft shows us a Productivity Future Vision, just the typical cinematic hollywood-esque concept show-off of futurology of products (a friend used to call it “hollywood OS”) they probably won’t ever make or do just too late after the competition captures all the market. Ok, that’s a little harsh, but late Ballmer’s Microsoft history tell us that. And he is right, all the video shows, are really cool cinematic effects, but you can find a ton of interaction issues on it. But the main problem is that in that future we all still interact with the digital data with on finger over a glass. It’s like if in the late 90’s we envisioned a future where all interaction are done with a 2 button mouse. Bret even suggest some paths that could enrich the future of interaction where we use our full body to interact instead of just one finger. As I see this problem, the initial road could be mark with Chris Harrison concept with his 2009 paper Providing Dynamically Changeable Physical Buttons on a Visual Display. He envision a that a thin transparent layer over the glass of touch based devices could adapt to reflect a soft keyboard with volume so you could feel it. I thought that solution was already on the works, but as it looks it just on paper. But, what if we could expect more adaptable hardware around our software? What if we could have Responsive Hardware Interfaces as we have Responsive website designs. It will be hardware that could adapt its form and function depending of the task we want to do, it can be done with Smart Materials or even nanobots. Imagine you take out of your pocket your mobile device, launch your favorite game that links to your big display on your living room and then, your mobile device change its form and function to a game pad for a better and more comfortable experience. This could be applied to a variety of tools. Imagine you won’t need a set of specialized screw drivers, you could have just one that can shift its shape to whatever form you need. Or even a simple task as making cookies for your kids, where you could have just on piece of metal that can change its form to whatever you want, a star a half moon, a man… And all this could be done with software, you can even buy more shapes for this devices on your online app store making them more useful over time. But not necessarily all interfaces will be tangible or manipulable, there is a lot of room for various type of them, specially for Natural Language Interfaces like the recently introduced Siri Assistant. One thing is clear, touch based interfaces, or Pictures Under Glass as Bret puts it, are a real advance in interaction, but it is the Now not the future as Microsoft wants us to believe. We all struggle at work, at every level, as employees and as managers. We all have complaints. And web design is not an exception. I’ve been working on this area for more than 14 years and I know every one of the problems we all have working at agencies. I suffered them at every level. And I must admit, I complained a lot, some times wrongly, some times not. Web design agencies started to surge as one person companies, and when internet started to grow they had to face the same grow inside the organizations, and for no better role model they take the traditional publicity one with all their flaws. This leaded to a sum o problems that infested the profession and the ability to make our jobs a we supposed to do. 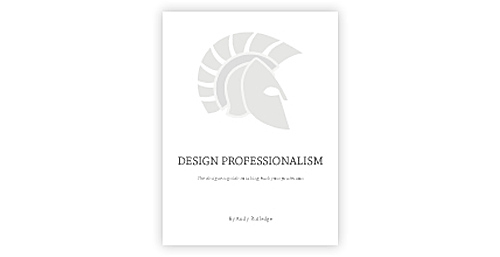 Andy Rutlege, in his Design Professionalism, put in words a thoughtful analysis of the roots of the situation and offered solutions managing them based on his many years of experience, with a focus on integrity, moral and professionalism. If you a are a designer or a manager on a digital agency, this is a must read book. It goes deep into every problem you complaint in your career and gives you insights of the origins and solutions you need to circumvent this problems and be a better professional. You will argue with him a lot, but be patience and read all he has to say. Let the ideas macerate for some days and you will find real wisdom and tools you can use to enhance your practice as a professional. You can like some of his ideas, you will hate some, but you can ignore them. I assure you, this reading will benefit your company, will benefit your work as a designer, as I can assure you it benefited mine. What the best of all, he make a website for everybody to read it for free. It’s his contribution in improving our profession, now its time for you to read it an make your own. You can also buy an ebook version, so you can have the best digital reading experience. I always watched with astonishment girls screaming, shouting and even crying, in a kind of mass hysteria at their favorite music artist. I couldn’t comprehend how can they be connected in this way with a total estranger from who they only know their songs and what is published about him. Some time ago, a close friend approaches me with genuine sadness and told me that Carl Sagan had died. We, as young people as we where, maked jokes about his ridiculous overreaction, Sagan was a notable man, but a total estranger for him. We knew he was a real follower, admirer of his ideas and achievements, but still we cannot understand what he was feeling at that moment. This is not out of nowhere, it’s not even unexpected. We could all see this was coming — but it is a shock. It is not sadness for the company he created and managed as a CEO. It is not sadness for that company products. I can enjoy using apple devices and software, but I don’t feel sadness for material things. It is sadness for knowing that this man I admire, this estranger guy who has ideas I can feel related to, this person, its as fragile as any other person. 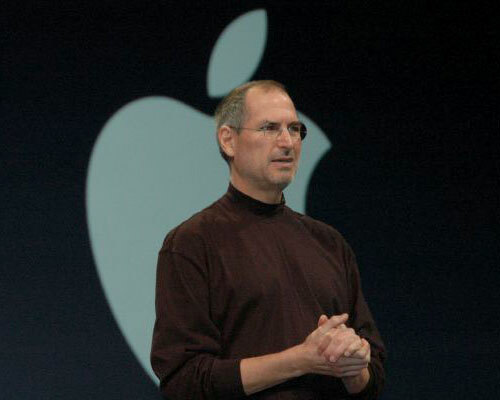 It’s sadness because his resignation as apple CEO is the beggining of a long goodbye. The other day I started planing a big trip, obviously entirely online. I can’t conceive planing this trip on my own without the internet, it is really useful, easy and fast. Except when you want to pay for things with your Visa Card. It went like this: found a museum or hotel I wanted, check for availability, add to cart, put my credit card data, checkout, enter my Verified by Visa password, return to cart, get a rejected by Visa message. Try it again, the same result. Next step, call Visa. Dial phone, enter my credit card numbers, enter my birthday, enter 9 to talk to a person, wait 10 minutes, explain I want to buy something online and get rejected, get forwarded to the people that can help me, wait 5 minutes, explain I want to buy something online and get rejected, get forwarded again to the people that can help me, wait 5 more minutes, explain I want to buy something online and get rejected, they told me that its true, ask me some questions to verify I’m me, approve the transaction and tell me I have to go again to the website and buy again. Effectively, now I can book the hotel. To be noted, I call them on three opportunities, and in all of them they forwarded me two times to the people that handled online purchases. But, this it not the whole story. As you can guess, when you plan a trip, you buy lots of tickets, hotels, planes, etc. So, I asked the Visa people if they can unblock my credit card for online shopping, at least for a week, so I can plan my vacations without all this time on the phone and having to buy twice on every site. But I was out of luck, for my security this can’t be done, I’ll have to call EVERY TIME I purchase something online to be authorized by them, even with the Verified by Visa protocol the have online after every purchase. The estrange thing is, this only happen with one of my cards, I have another from another bank from which I bought things online since 1999 without any problem, both from Visa. I really don’t understand this procedure. They have several measures to avoid this but I have to make a 30 minute call for every purchase. If for any chance there is a Visa guy reading this, if you really must add a third verification layer for online shopping, here is an alternative: put a list for user approval purchases on the “Visa Home” website, you know, the one you host with all my credit cards data, so I can go there and verify every purchase without a phone call, can do them in bulk, and I get to use my credit card more securely online with the certainty that no online purchase can be made without my express approval. Otherwise, you just fucked online shopping for everyone. Yeah, thats it, and Luke cleverly selected those words to start his book. Since I read it, whenever I told someone about this book, they gave me this look like I’m a kind of geek freak. Maybe its true, but I can’t recommend this book enough to every designer that is doing some web work. Luke makes clear that forms are everywhere, and remarks the importance to gave them the attention they need when we design online experiences. Maybe it’s not a book to read it from beginning to end like I novel, although I did it and enjoy it, but its a great reference to have always near. The best thing of this book are not the countless reference cases, but the usability tests with eye tracking and hard data that backup all the recommendations. Things you won’t find in any other web or book. Just one day after I finished reading it I had to solve an estrange case in a credit card acquisition process, and I couldn’t be more grateful to Luke and his book; it help me to make a quick and informed decision and give the user the best buying experience possible. 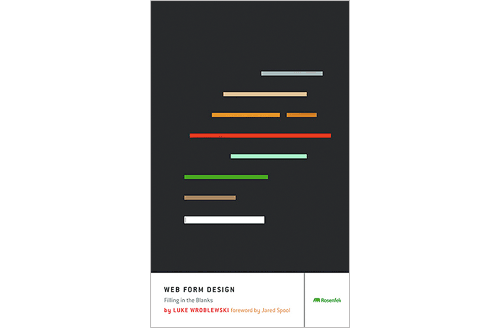 Don’t get intimidated by a book about forms, think about it like a online experience problem solving helper, a good companion, a must have book for every designer. In his talk at the IXDaBa Beer & Design, Andrés Rodriguez, showed us his thesis on a proposal for a standard on integrating Usability on software development process. It was really interesting session. But the talk afterwards gave us a lot of insight of the real implementation of UX from a software engineering point of view. He, as a head of a big team, change the hierarchy of the process and took the Ux people at the level of the software architect. Now the Ux team become a consultant for all the other areas and work with the software analysts. As a designer it was a great surprise to know someone on the other side of the development that gives UX the place it deserves. He shows us that UX is growing and having real impact on many areas, and with it he gave us a little more certainty that there is light at the end of the UX road.